It's officially Autumn which means we can all start dragging out those dark colours out our closets. 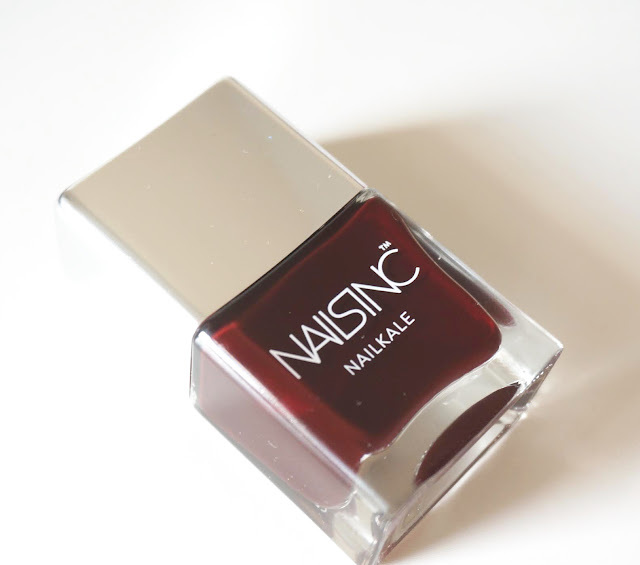 I am giving myself a head start with my nails by using Nails Inc Nailkale Victoria polish. 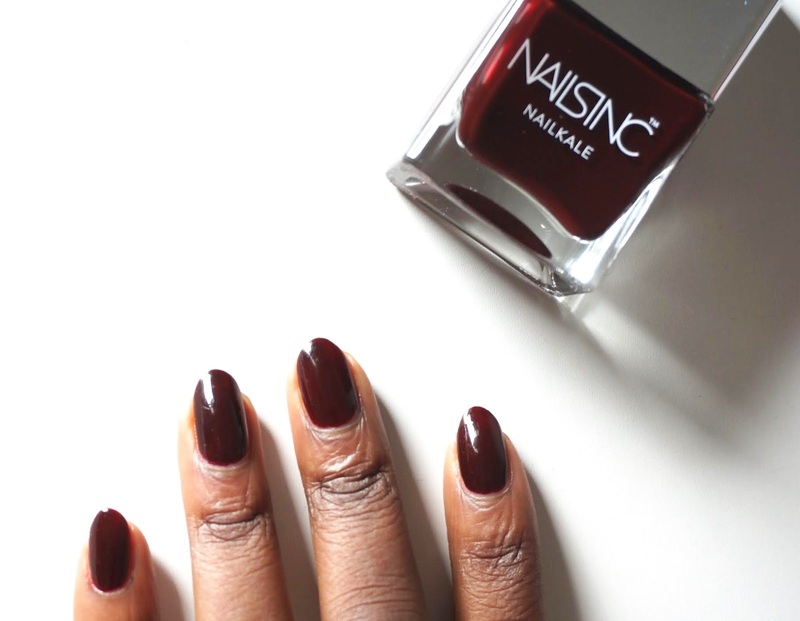 I may not be a massive fan of the Autumn/ Winter weather but I am most definitely a fan of the Autumn/Winter shades. 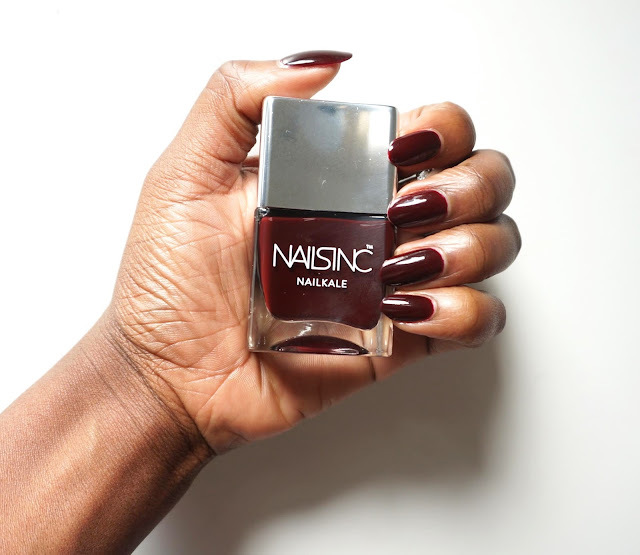 I must say that Nails Inc. Victoria polish is one of my all time favourite Nails inc polish shades to wear during the colder months. 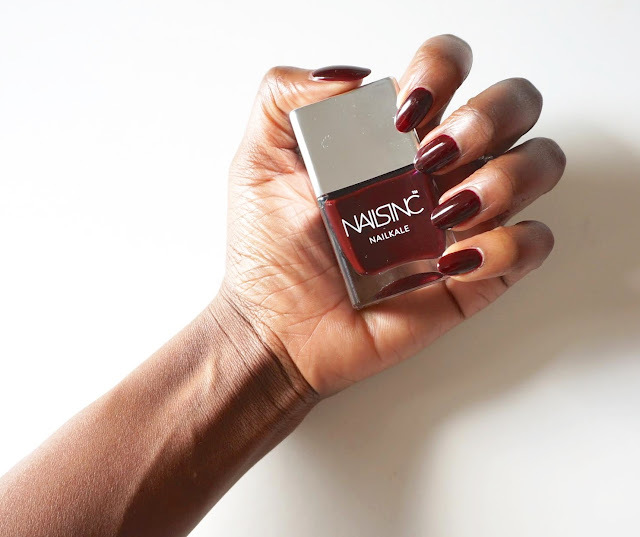 It's burgundy shade is the perfect shade to wear against those autumn/winter colour palette and with a slick of the 45 second Kensington Caviar Top coat, you can have a long lasting manicure glistening in the sun's rays.